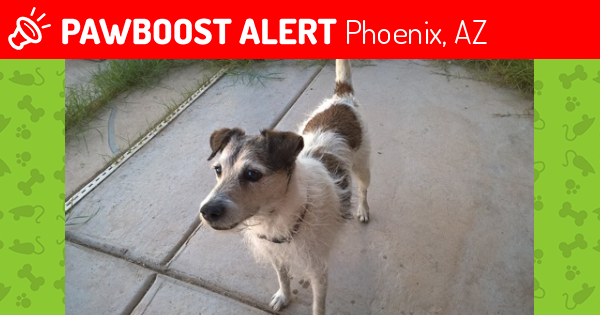 Want Phoenix, AZ lost pet alerts? Galt is 14 years old and very hard of hearing. He may not respond to his name because of it. He is a Jack Russell Terrier, scruffy white fur with brown spots wearing a faded red collar. Why does this keep showing up when the dogs status is deceased?